Krzysztof Soszynski talks about his unanimous decision victory over Goran Reljic Saturday night at UFC 122. He also talks about his broken hand, his patented kimura and how his conditioning helped win the fight. Yushin Okami upsets Nate Marquardt and earns a UFC middleweight title shot. Dennis Siver looks impressive in a submission victory over Andre Winner, and Amir Sadollah dominates Peter Sobotta. 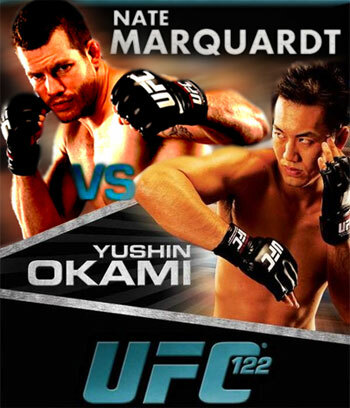 The ProMMAnow.com staff shares our thoughts and predictions on Saturday’s “UFC 122: Marquardt vs. Okami,” headlined by two of the top-10 ranked middleweights in the world, Nate Marquardt vs. Yushin Okami. All 22 fighters appearing on the UFC 122 card on Nov. 13 in Oberhausen, Germany made their respective weights during today’s weigh-in, including Nate Marquardt and Yushin Okami. UFC middleweight Kendall Grove has announced he will face top contender and submission ace Demian Maia at The Ultimate Fighter season 12 Finale, set for Dec. 4 in Las Vegas. A crash that almost killed two young men on the 15th of October at around 3am could have had disastrous consequences when the two young men, both from Privlaka, spun and crashed into the sea. Thankfully both men survived, due to the brave actions of Goran Reljic, the Croatian ultimate fighter, who resides in the immediate vicinity of the town in question. When he heard the crash, Goran jumped out of bed, still in his underwear and jumped into the sea.